The big four—precast concrete, cast stone, GFRC and fiberglass—account for the majority of today&apos;s precast ornament. Whether carved from blocks or built up from pieces, exterior architectural ornaments — think cornice moldings, window and door surrounds, columns and balustrades — have been the jewelry of large buildings for centuries. Almost as old has been the search for methods and materials that circumvent the labor and expense of repeated carving or construction by casting identical ornaments from molds. The quest continues today with the added application of replicating ornaments on historic buildings and, surprisingly, some of the top materials are based upon varied combinations of similar ingredients. Here&apos;s what separates the most common four, and what you should know about their differences. Perhaps the material most easily recognized by the person on the street is precast concrete. Essential to conventional construction for everything from utilitarian stairways and sewer pipes to ornamental yard sculptures and birdbaths, precast concrete is cement, aggregates, pigments and water combined as a wet mixture, then poured into a mold of the desired shape. Explains Frank Bracken of Architectural Facades Unlimited in Glendale, CA, "The term ‘precast&apos; means a product produced by casting concrete into reusable molds or forms in a manufacturing plant off site." This is in contrast to site-specific forms where the concrete must cure in place before other construction can proceed. For ornaments, precast units may be made from custom-made as well as stock molds. Industrialized as it is today, precast concrete has centuries-old origins. "It can be traced as far back as ancient Roman times ca. 900 AD," says Alice Bracken, also of Architectural Facades, "and it developed over time into a refined art known as architectural precast." Modern-era precast appeared shortly after the invention of reinforced concrete in the 1860s, as a way to make lintels, window sills, stair treads and copings in cases where stone was difficult to obtain, especially in sufficient lengths. Since it used natural cement, this early precast had colors and textures similar to natural stone, making it well-suited for exterior building sculpture and ornament. When non-fading, lime-proof colors became available after World War I, precast concrete made with Portland cement proliferated as large-scale decoration on buildings. Castings are generally solid, but also usually incorporate slots, holes or inserts for anchoring. Because precast concrete ornaments are solid units, they are heavy and therefore used in places where stone traditionally appears: window sills and lintels, window and door surrounds, stair treads, parapets and balusters. However, solid units also means that when properly constructed (with reinforcement, for instance), precast can be load-bearing. Precast is popular for making decorative elements as well. By including specific stone aggregates and chips, it can emulate the wide variety of colors and textures of other masonry materials such as stone or terra cotta. If a smooth surface is desired, the ornament may be ground and polished; for a textured or exposed-aggregate surface, the ornament is brushed or sandblasted while the concrete is partially set. Color may be derived by choosing and blending aggregates as well as the use of pigments and white or gray Portland cements. 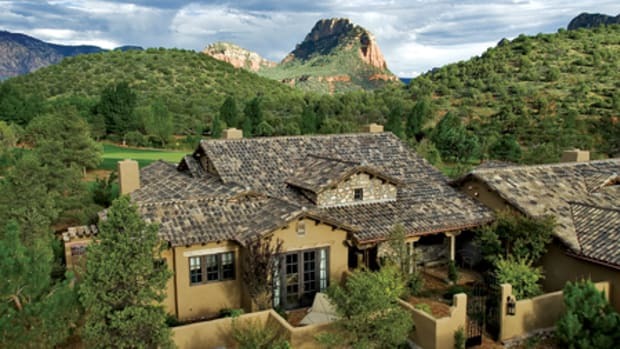 "Selection of color and finish is directed by the architect and client," says Frank Bracken. "The precaster will provide samples using selected aggregates and color to meet the client&apos;s specifications." He adds that matching both color and texture is of prime importance in historical work. "Replicating the various finishes, textures and glazes in materials like natural stone, brick and terra cotta is an art form all by itself." Adaptable as it is, making quality precast ornament requires attention to methods and applications. To circumvent air bubbles that can develop as the concrete cures and leave imperfections in the casting surface, manufacturers are careful to vibrate the mix in the initial stages of production. Conversely, for some locales, the manufacturer will add air. "Mix designs are adjusted for projects located in a freeze-thaw environment," says Frank Bracken. "A baluster project we&apos;re currently producing for a site in Montana has a solid precast mix design that must be air entrained 5% to 6% — that is, the mix must contain microscopic air bubbles that will absorb any moisture and expansion under freezing conditions." He adds that keeping the precast element sealed is also important to minimize moisture absorption. "If the maintenance is poor, and the units are not kept sealed, they will eventually absorb moisture just as natural stone products do. Your local vendor can recommend the best sealing product for your climate zone." Often confused with architectural precast concrete (with which it shares many ingredients), cast stone is, in its most refined form, a different product produced by different methods, and with different results and history. 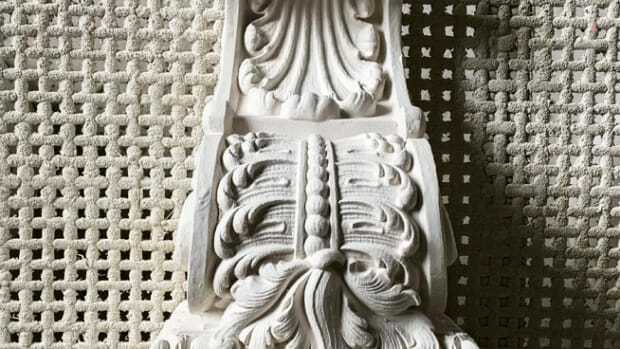 Medieval examples are documented in Carcassonne, France, but by the late 18th and early 19th centuries cast-stone technology was recognized as a business opportunity. Being made on-site, it presented an economical alternative to the costs of quarrying and shipping natural stone, spawning a variety of proprietary names and processes in England, France and the U.S. (Coade Stone, Frear Stone). Modern cast stone is generally composed of Portland cement mixed with fine and coarse aggregates that may include limestone, marble, calcite, granite, quartz and natural sand. When the right aggregates in careful proportions are combined with pigments, chemical admixtures and water, the resulting casting can be made to look like unveined, fine-grained limestone, brownstone, bluestone, granite, slate or even travertine, marble and terra cotta. The stone-like density and granular finish of cast stone is a direct result of the craftsmanship employed in the casting process, which is of two types. In the dry-tamp method, a nearly dry, earth-moist mixture of ingredients is carefully packed and rammed into a mold until it is densely compacted. In this method, the actual stone-like mixture may only be ¾ to 1-in. thick (then backed up by a core of concrete), but the meticulous tamping effectively eliminates the possibility for "bug-holes" in the surface. In the wet-cast method, the mix is much wetter and poured and tamped into the mold. Depending upon the fabricator and the project, the inner core may be hollow, filled with concrete, or fitted with reinforcing bars or anchors. Cast stone can be made from rubber molds taken right from elements on the building or from shop-made patterns. "With cast stone, you can do anything you can do with limestone," says Art Allen of Classic Cast Stone of Dallas in Dallas, TX, "but with much less expense and higher compression rates." He adds that though the material is typically not structural, it can be reinforced with steel for structural applications. Cast stone has a long history of being used for surface wall stones as well as ornaments, such as surrounds for windows and doors, brackets and hoods, and voussoirs. Though often heavy, it has an expansion/contraction similar to stone while being vapor permeable. The increasing popularity of cast stone over recent decades — particularly in the sun belt — has fed a proliferation of suppliers and manufacturing methods, with the result that, "Cast stone has become something of a commodity," according to Allen. "Quality of manufacture is critical," he adds, and the most important parameter is high compaction of the ingredients. "Lesser quality cast stone is less dense," he explains, "which means it has a higher moisture absorption rate that can lead to freeze-thaw problems in some regions and environments." Allen adds that the manufacturing methods he and his peer competitors use make their products suitable for any weather environment. Looking to combine the advantages of reinforced concrete with more flexural strength suitable for building panels, the Soviet Union investigated glass fiber reinforced concrete (GFRC) as early as the 1940s, but it wasn&apos;t until the 1980s and &apos;90s that the material progressed enough to find wide acceptance in the U.S. Today, GFRC is popular not only for new construction, but as a promising technology for replicating historic building ornaments by virtue of its fine texture, low shrinkage, and not being prone to freeze-thaw. As the name suggests, GFRC is a composite of Portland cement, aggregate, water, glass fibers and additives. 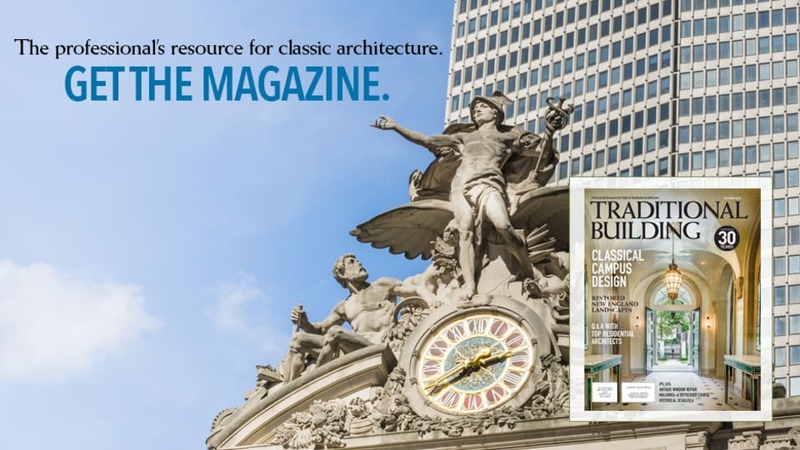 Nonetheless, as Aaron Linn at Towne House Restorations, Inc., in Long Island City, NY, observes "Despite being in all the construction texts, GFRC is one of the most misunderstood and misused of building materials." Critical to making successful GFRC castings is using alkali-resistant glass fibers that stand up to the attack of hydrating Portland cement — ingredients not perfected until the late 1960s. "Since then, technology has introduced not only alkali-resistant glass fibers but also polymers that encircle the cement molecule to ensure proper curing," says Frank Bracken. "Together, they have catapulted GFRC manufactured goods to a 100-year rated product." According to Linn, the typical GFRC ornament is about ¾-in. thick. The casting process begins by spraying a face coat of cement mixture, about 1/8 to 3/16-in. thick, to become the finished surface of the ornament. The face coat is made up of the same mixture as the body of the material except that it contains no fibers. The mix design consists of Portland cement, sand, latex polymer and pigment that is measured to match the color. The polymer keeps the cement from drying out too fast and increases its workability. The face coat thickness may vary depending upon the choice of final finish. For example, in order to create a particular texture or weathered appearance, the casting must start with a thicker face coat so that the craftsperson can apply an acid wash later. Following the face coat, the ornament is built up with alkali-resistant chopped glass added to the mix design. The fiberglass is a key part of the composite as it adds tensile strength to the cement. With chopped fiberglass mixed in, the mix is pressed with rollers to remove air voids. In the course of laying up the casting, the artisan lays in a steel frame with stainless steel flex anchors for support and mounting. In their market, Linn says they use GFRC almost exclusively for replicating cornices on historic buildings. "GFRC is not generally considered a lightweight material but, at about 15 lbs. or less per square foot, it&apos;s typically lighter than, say, terra cotta." GFRC is also lighter than the solid-precast concrete window sills and lintels they make as well. However, he says GFRC is sometimes specified for terra-cotta replacements, where it can have the advantage of reproducing multiple terra-units in one casting using false mortar joints to make a larger panel. Linn says that the typical scenario for a project is to first take measurements of the existing cornice, then remove sections to the shop for mold-making. "Nothing we do is stock," he says, "almost all the business is in replacements." Given the conditions of height, weight and structural anchoring associated with cornice installations, he adds that most projects usually involve an engineer. "This is not like replacing a window sill." In addition, GFRC ornaments are not load-bearing structural elements. This means that all loads of other materials need to be supported. Also, all joints are made with sealant and backer rod, rather than mortar joints that can transfer a load or not allow the GFRC to expand and contract, causing the material to crack. Since the 1940s, glass fibers have been employed to reinforce a variety of materials designed for building products, and one of the most versatile is a group generally collected under the heading fiber reinforced polymers (FRP) that include what is commonly called fiberglass. "The beauty of fiberglass for exterior ornament is that it&apos;s a light, durable, permanent material that can be made to look like many other materials," says Charles Wittman of Architectural Fiberglass Corp. in Copaigue, NY. He says his company&apos;s specialty is cornices, but adds that fiberglass represents "a huge market" in columns and balustrades as well. 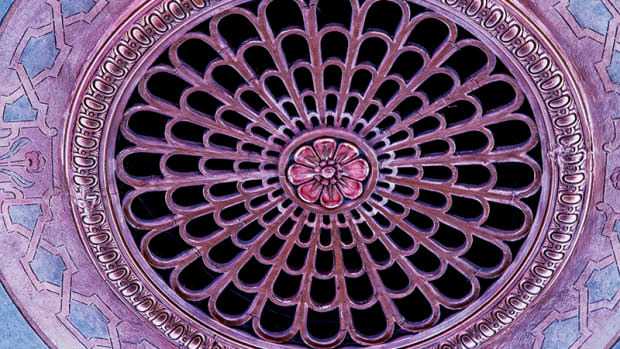 For architectural ornaments, fiberglass is generally a thin, rigid, lightweight shell molded from layers of glass fibers saturated with either polyester or epoxy resin. The casting process begins with spraying on a thin, resin-based gel coat that will be the final finish on the ornament. "We&apos;ve had products up on buildings for 20 years, and the gel coat is very color-stable," says Wittman, who notes that the pleasure boat industry has been using fiberglass since the 1950s, with many of these boats still in service. Following the gel coat, the mold is layered with chopped glass and resin, often including supports or anchors for installation. Wittman says his company generally uses polyester resin, but of a special professional type consistent with the rating for a Class 1 fire-retardant material. 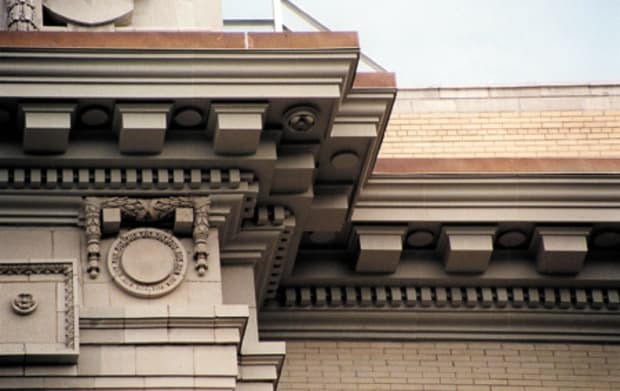 At Architectural Fiberglass Corp., fiberglass is generally used to replicate cornices and pilasters originally made out of terra cotta, wood or sheet copper. Wittman points out that fiberglass has a significant but, at first glance, not obvious difference compared to other ornament materials. "Installed costs are a big factor, and where fiberglass has an advantage," he explains. "Because, fiberglass units are light and manageable, they don&apos;t require the rigging of some other materials — or the specialized skill of, say, masons or ironworkers. Also, it does not require heavy framing, and can often be attached with wood blocks." He adds that because fiberglass is a lightweight material, it puts minimal stress on structural materials. Of course, when it comes to load-bearing ability, you don&apos;t get something for nothing and, as he puts it, "Fiberglass, like GFRC, is not a compressive material." However, because it traps no moisture, fiberglass has no freeze-thaw issues. 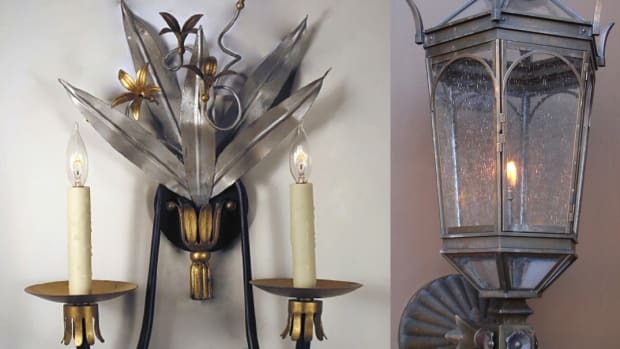 Castings for cornices are typically about 8-ft. long, and limited not by the material itself but what is practical. "Our rule of thumb is to make the piece manageable to handle in the shop or on a scaffold, which is typically around 100 lbs. in weight," says Wittman. Indeed, when replicating, say, terra cotta, they may actually mold in faux joints to simulate multiple original units because the fiberglass is capable of being much larger in a single casting. Where sections of fiberglass ornament meet, Wittman typically uses a "soft joint" composed of half-laps bedded with sealant. The process for making cornice molds depends upon the type of project. Wittman says that they typically use fiberglass molds — "they&apos;re more stable than rubber molds, especially for long runs, and have a greater service life" — but they also work with rubber molds where the ornament has undercuts or the molds have to be made on-site. Color is integral to the gel coat and, for reproduction work, becomes its own specialty. In the case of matching, say, an existing copper cornice, where age has produced a patina in a range of colors, the company will shoot for an average. Terra cotta will generally be matched in the shop to sample. In cases where the call is to replicate dark or hidden spots, a paint coat will be added. Wittman adds that these days there are more technologies than ever for making molded ornament. "You could fill a book with all the cross-over materials," he says, "but for most people, precast, cast stone, GFRC and fiberglass are the big four." Gordon Bock is co-author of The Vintage House (www.vintagehousebook.com) and available for keynote speeches, seminars and workshops through www.gordonbock.com.